St. Thomas hosts four schools at Reckling Gymnasium for an upper-school pre-season wrestling scrimmage. Here the Mavericks of St. John's compete against the Redskins of Lamar. 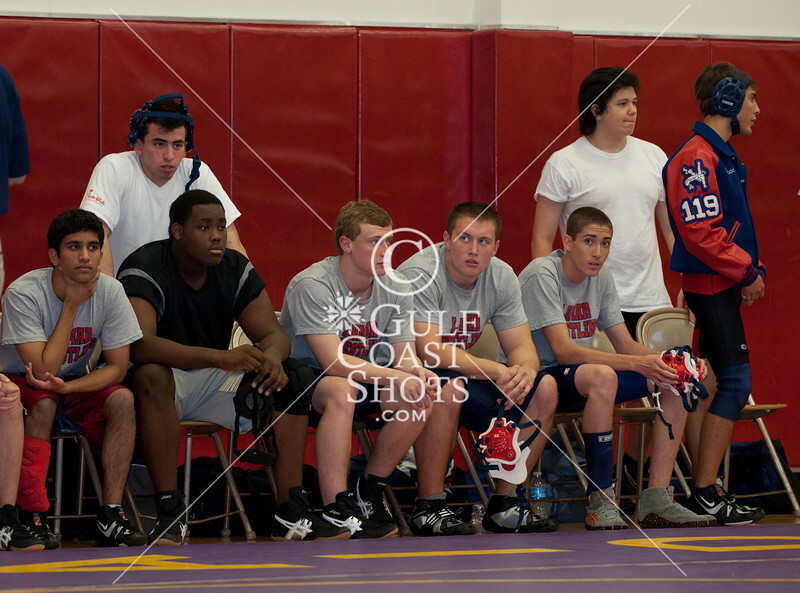 The Eagles of St. Thomas High School in Houston host wrestlers for a pre-season scrimmage. Attending were the Falcons of Kinkaid, the Lamar Redskins, and St. John's Mavericks.